FC Dallas to Defend Super Group Title at Dr Pepper Dallas Cup XXXIX | Dallas Cup, Inc.
DALLAS, Texas (Tuesday, Dec. 5) - Dr Pepper Dallas Cup, the oldest and most prestigious international youth soccer tournament in the United States, has announced that current Super Group champion FC Dallas will return to defend their title in 2018. The local side looks repeat as champions of the tournament’s elite bracket, a feat achieved by only 4 teams since the creation of the Super Group in 1990. This past April, FC Dallas became the first MLS team to hoist the iconic Super Group “Boot and Ball” championship trophy, defeating CF Monterrey 2-1 in the title match. Academy standouts Paxton Pomykal and Jesus Ferreira spearheaded the attack throughout the tournament, scoring or assisting on more than half of the team’s 11 goals. Pomykal and Ferreira, among others, will look to compete for roles on the FC Dallas first team in the coming years as they make their way through the ranks of what is considered by many the top MLS academy. Also competing in the 2018 Dr Pepper Dallas Cup Super Group will be Red Bull Brasil. The Brazilian club’s youth teams have achieved promising results in national and international competitions since their inception in 2008 and they look to add a Dr Pepper Dallas Cup championship to their resume. Red Bull Brasil made their Dallas Cup debut this past spring, but failed to advance out of the group stage. The club hopes to build on last year’s appearance and add another Super Group title for the country of Brazil, the winningest country in Dallas Cup Super Group history. FC Dallas and Red Bull Brasil join previously announced Arsenal FC of the Premier League in the 2018 Gordon Jago Super Group. 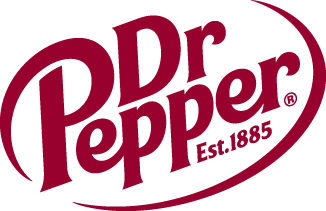 Dr Pepper Dallas Cup XXXIX will be held from March 25 through April 1, 2018.